What a week. Especially if you reside in America, you can agree with me on that one. On a smaller scale, my part of the world was extremely busy. On Monday I had a nerve wracking audition for Alabama's Allstate SATB choir (something I've been involved with for the past four years) which, surprisingly, went very well. Tuesday and Wednesday were filled with miscellaneous quizzes and makeup work, and Thursday was the mother load: a qualifying round for a state competition and an AP Statistics test that I continue to have nightmares about. However, all of that hustling and hectic-ness has really paid off; this is the first weekend in a long assortment of weekends that I haven't felt completely overwhelmed by homework or ongoing projects. Plus, dare I say it: it's beginning to feel a lot like the holiday season! No time is better for new beginnings. Can we talk about how cute the J. Crew kids' holiday line is? If anyone is still fixated on pumpkin (I don't blame you), this is the video for you to watch! Let's be honest: this week was just as eye-opening as it was hectic. It was simultaneously a beginning and an end to many things, on both smaller and larger scales. The only thing left for us to do is to march onward, to face this new beginning with courage and perseverance. In light of that, I have but one piece of advice for you: "Believe in the sun, even when it's not shining. Believe in love, even when you feel it not. Believe in God, even when He is silent." 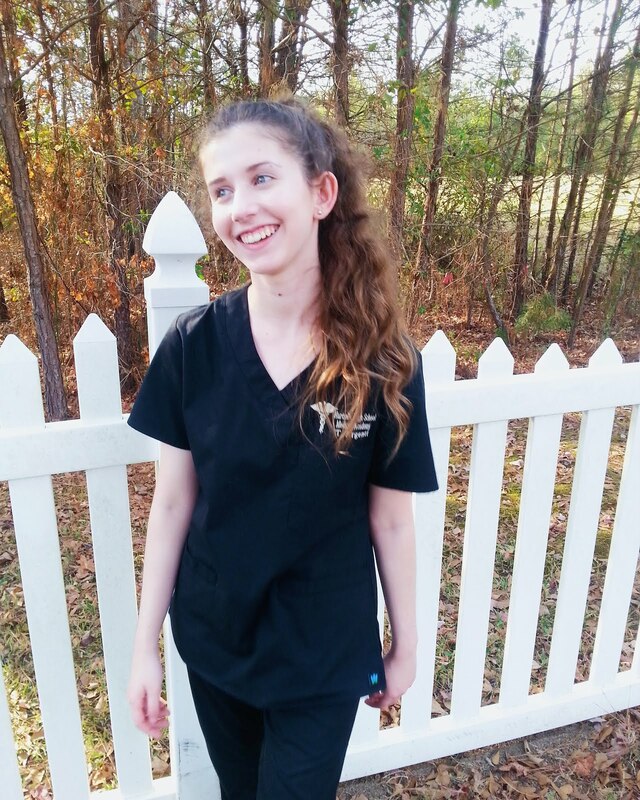 how cute do you look in your animal hospital scrubs!! Thank you, Katelyn! I agree--if I could wear that line, I'd want the holidays to last indefinitely!